Well, we checked another item off of our wedding to do list this past week, and it was a pretty darn exciting check to make. Maybe it's because it is currently winter and I am in desperate need of a vacation, but I am SO pumped. After tons of research, talking with other couples, Internet searching, and review-reading, we have decided to leave the Monday after our wedding for a 7 night vacation to ARUBA. We will be honeymooning at the end of September, which just happens to be right smack dab in the middle of hurricane season. Justin & I were first thinking about Mexico, but we later decided we really wanted a Caribbean honeymoon. So, we started looking into places like the "ABC Islands" (Aruba, Bonaire, and Curacao), which are outside the Hurricane Belt and known to be the lowest risk islands during hurricane season. I'm not saying we won't get some rain, but at least we are cutting down the risk a little. 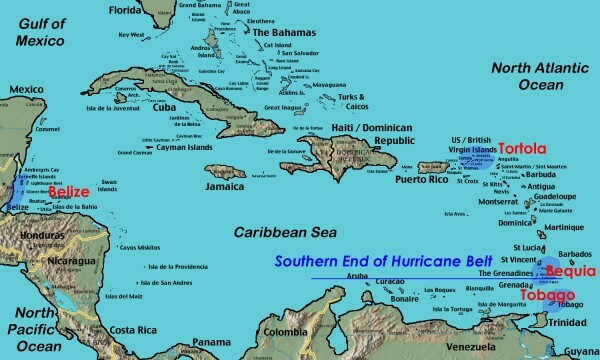 Another possiblity we considered was Tobago. My family vacationed a couple of times in Tobago growing up, and if you have travel patience (it's a little bit more difficult to get there) and love a quaint island feel, I would highly recommend it. 2) A new destination for the both of us. There is something very special about experiencing a new place for the first time with your significant other. This will be the first time for both of us to Aruba - so that definitely excited us. Ok, ok...I know some of you just raised your eyebrows and are mouthing the words "Natalie Holloway" to right about now. However, I will be traveling with a strong, protective new husband at my side and, lets be honest, I'm pretty certain our nights won't be extending much past midnight. 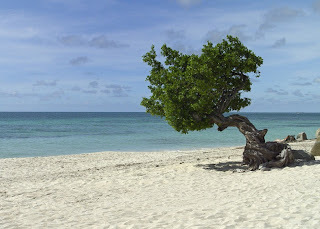 I have had many people tell me that one of the best things about Aruba is that you can really explore the island and are not scared to leave the friendly confines of your resort. I have been to a couple of places in the Caribbean (and Mexico!) that were beautiful, but I certainly did not feel safe everywhere I went. As a couple that likes to walk along the beach and explore a little, we're hoping Aruba will allow us to do that comfortably. One of the things Justin & I learned about ourselves on our trip to Maui is that we are absolutely beach people. Still have not finished that book. Fail. Once we saw that gorgeous beach, we didn't step foot poolside (and the Westin had a GORGEOUS pool area!) for the rest of the vacation. Aruba is recognized for having some of the most beautiful beaches in the Caribbean, so that helped! We were originally sold on doing an All Inclusive resort for our honeymoon. We were just a little scarred by the $15 poolside hamburgers in Maui, and we want to be able to eat and drink whatever we wanted, whenever we wanted on this trip. After putting a little bit more thought into it, I realized that one of the things I look forward to the most when I'm on vacation is venturing out local restaurants and bars. I was excited to hear that Aruba has some incredible restaurants. There were also some AI options on the island, but we ultimately decided not to go with an AI resort/plan. Thankfully, we will have a mini kitchen in our room for snacks, and we will get free breakfast (make your own omelets, here I come!) for 2 each morning at our resort, which will certainly help on the food budget front. We really loved having free breakfast in Maui. I must say we got a super deal on our honeymoon "package." We used Costco Travel again for booking the hotel, and even with upgrading to a suite, we were able to save $500 off the price we would have paid booking direct through the hotel. If you are planning a vacation this year, I would highly recommend paying the $$ (I think $50 per year?) to be a Costco member. Even if you don't shop at the store, being able to book through the travel site makes it worth it. Also, my mom generously offered up some airline miles to help with our plane tickets. Need Resort Reviews? We used Trip Advisor to make our resort decision - lots of great insights there. Now, I will be singing "Aruba, Bahama, come on pretty mama..." on repeat for the next 7 months! Something to talk about: What is your dream honeymoon destination or where did you go on your honeymoon? Thoughts on all inclusives vs. not-all inclusives? I'll go anywhere :) haha so excited for you guys! !